We’ve tested over 120 digital cameras. With smartphone cameras improving all the time, is it worth buying a digital camera? We've pitted phones from Apple, Huawei and Samsung against digital cameras to find out. Find the type of camera that best suits your needs and use our test results to compare compact, DSLR and CSC models. Snapshot: The Nikon 1 J5 (with 10-30mm lens) compact system camera has an Nikon CX CMOS sensor, can shoot 4k/uHD video, but no viewfinder. But how's the image quality? Snapshot: The OnePlus 3 mobile phone camera has a touchscreen, has a manual focus option and can shoot Full-HD video. But how's the image quality? Snapshot: The Sony Alpha 5000 (with 16-50mm lens) compact system camera has an APS-C CMOS sensor, can shoot full HD video, but no viewfinder. But how's the image quality? Snapshot: The Sony Alpha 5100 (with 16-50mm lens) compact system camera has an APS-C CMOS sensor, can shoot full HD video, but no viewfinder. But how's the image quality? Snapshot: The Sony Alpha 6000 (with 16-50mm lens) compact system camera has an APS-C CMOS sensor, can shoot full HD video, and has an electronic viewfinder. But how's the image quality? Snapshot: The Sony Alpha 6300 (with 16-50mm lens) compact system camera has a APS-C CMOS sensor, can shoot 4k video, and has an electronic viewfinder. But how's the image quality? Snapshot: The Sony Alpha 6500 (with 16-70mm lens) compact system camera has an APS-C CMOS sensor, can shoot 4k video, and has an electronic viewfinder. But how's the image quality? Snapshot: The Sony Alpha 7 II (with 28-70mm lens) compact system camera has an Full Frame CMOS EXMOR sensor, can shoot full HD video, and has an electronic viewfinder. But how's the image quality? Snapshot: The Sony Alpha 7R (with 24-70mm lens) compact system camera has an Full Frame CMOS sensor, can shoot full HD video, and has an electronic viewfinder. But how's the image quality? Snapshot: The Leica CL compact system camera has an APS-C CMOS sensor, can shoot 4k video, and has an electronic viewfinder. But how's the image quality? Snapshot: The Leica CL (with 18-56mm lens) compact system camera has an APS-C CMOS sensor, can shoot 4k video, and has an electronic viewfinder. But how's the image quality? Snapshot: The Nikon COOLPIX A300 (with 4.5-36mm lens) compact camera can shoot Full-HD video. But how's the image quality? Snapshot: The Nikon COOLPIX A900 (with 4.3-151mm lens) compact camera can shoot Full-HD video and has a huge zoom. But how's the image quality? Snapshot: The Nikon COOLPIX B500 (with 4-160mm lens) compact camera can shoot Full-HD video and has a huge zoom. But how's the image quality? Snapshot: The Nikon COOLPIX B700 (with 4.3-258mm lens) compact camera has a manual focus option, can shoot Full-HD video and has a huge zoom. But how's the image quality? Our latest test has lots of recommended cameras, compact and CSC/DSLR, but after you pick one, how do you take the best photos? We’ve laid out the basics to get you started. These are the four most important manual controls on your camera. Focal length is the distance between the lens and sensor. It determines how much of the scene is captured. You often see this written on lenses, for example, 18-55mm. Wide-angle lenses have shorter focal lengths, which means they can capture more of the scene. This also means the subject you are focussing on will be smaller in the frame. Longer focal lengths give a smaller angle of view, capturing less of the scene but your subject will be larger in the image. Longer focal lengths, like you’d find in a telephoto lens, also shorten the depth of field (so objects in the background seem much closer). Shutter speed, aperture and ISO are about light; more light usually results in a better image, but increases the risk of overexposure. For shutter speed the number – for example, 1/30 – refers to the length of time, in seconds, the shutter opens to expose the sensor. Faster shutter speeds are better for capturing fast motion. So if you’re photographing an object moving quickly, a faster shutter speed removes any motion blur. The downside is less light is let into the sensor so, unless your subject is well lit, you’ll get a dark image. Slower speeds let in more light but fast motion becomes blurry. So it’s better for low-light shots, though you need to keep your hands steady as you take the shot to avoid motion blur. Very long shutter speeds (greater than a few seconds) allow you to take long-exposure photos. Changing the size of the aperture controls how much light is let in. The aperture is the hole through which light hits the sensor when the shutter is opened. This is another way to control the exposure in brightly or dimly lit places. Aperture size is denoted with an f – for example, f1.8. Note, a smaller number means a bigger aperture, which lets in more light. This can be seen written on lenses as 1:1.8 or 1:3.5-5.6. These numbers denote the maximum aperture at varying zoom lengths. So a 1:3.5-5.6 has a maximum aperture of f3.5 when zoomed out, and f5.6 when zoomed in. ISO refers to the camera’s sensitivity to light. So if you want to take a long-exposure shot, you can turn the ISO down and it’ll take much longer before the image is overexposed. If you want to capture fast-moving subjects in a dark environment, you can increase the shutter speed and the ISO, so the movement won’t be blurry but the sensor will be more sensitive to the light that does get through. However, this increases the amount of “noise” in the image. For perfect shots, you could consider a tripod. You might think they are big, cumbersome and costly, but there are many cheap and smaller options. A monopod is a single leg you can attach your camera to. This gives extra stability while shooting but can’t stand on its own. For smaller cameras there are smaller tripods. Compacts and smaller CSC cameras can work well with small foldable tripods that fit in your camera bag or, in some cases, your pocket. What happens when you change the settings? Aperture can add dimension to a photograph by blurring the background or bringing everything into focus. The out-of-focus sections of a photo can create a dappled blurring effect called bokeh (pronounced boh-kay). You can get bokeh by using a low aperture. Focal length determines how “zoomed in” your photos are; the higher the number, the more zoomed your lens will be. Shutter speed can create dramatic effects by either freezing action or blurring action. ISO is the level of sensitivity of your camera to available light. The less sensitive your camera is to light, the finer the grain. Shutter speed with adjusted ISO: Low ISO sensitivities require slow shutter speeds for correct exposure, resulting in blur caused by motion. High ISO sensitivities allow correct exposure to be achieved at faster shutter speeds, making it possible to take a photograph that freezes motion. What’s the difference between CSCs and DSLRs? A CSC is great for general and travel photography, and can produce excellent results. Cameras based on this interchangeable lens system (also known as micro system; mirrorless system camera (MSC); digital single lens mirrorless (DSLM); and electronic viewfinder with interchangeable lens (EVIL)) don’t have the physical mirrors of DSLRs. They consist of a small camera body with an electronic viewfinder (instead of an optical one) but with a good-sized sensor and interchangeable lenses. The sensors are often comparable in size to entry-level DSLRs and so they offer the image quality and control of a DSLR with the portability and ease of use of a compact. Tip: Be careful changing lenses in windy or dusty conditions. The camera’s sensor is directly exposed on CSCs because there’s no mirror system like there is for DSLRs. For specialist portrait, landscape, sports and action photography, a digital SLR (DSLR) is worth considering. The lens on a DSLR is interchangeable, and the camera may be sold with or without a lens. This means you can change the lens on the camera for shooting in different situations, such as wide-angle interior shots and sports photography. DSLRs auto-focus significantly faster than compact cameras making them superior for shooting fast moving scenes such as kids’ sports. Compacts normally reach 400 or 800 ISO speed, but most DSLRs will achieve 3200 ISO and beyond. This is a big advantage for shooting sports, action and in low-light conditions. DSLRs have much larger sensors than compacts which affects their depth of field, meaning it’s significantly easier to isolate the subject and defocus the background. This makes a huge difference for portrait photography. DSLRs are bigger and heavier than compact digitals. Add a selection of lenses and other accessories and they become even less user-friendly for travel. Most cameras come with 1 lens and if you want a new lens at a different focal length you can expect to spend between $350 and $2000. The first new lens for many people is a 55-200mm lens for shooting sports which costs about $380. Many DSLRs can be purchased as a “twin-lens kit” which includes this lens at a discount. A few cameras have a small amount of built-in memory, but in general you’ll store most of your pictures on a removable memory card. A low-capacity card (often 1-2GB) is sometimes supplied with the camera. Most of the time this should be enough, but more GB could prove valuable if you’re away from a computer for long periods and can’t download your images – or if you plan to take a lot of photos at high resolution. Many people use 4-8GB cards. There are 6 main formats: CompactFlash, Secure Digital (SD), xD, MultiMedia, Smart Media, and Memory Stick. Most digital cameras are compatible with only 1 format, but the brands aren’t proprietary. 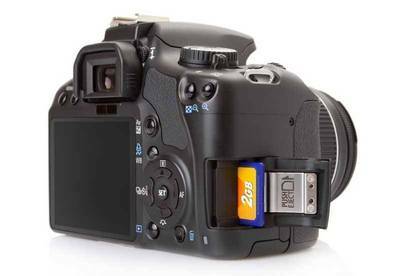 Most cameras have their own integrated (rechargeable) batteries and include a charger; others accept general-purpose AA batteries. We no longer test battery life as the majority of cameras scored 10 out of 10 in our 250-cycle test. The optical zoom physically moves the lens, giving a closer view with no loss of quality. The digital zoom just enlarges the pixels in the image. This will reduce quality and can produce a jagged or pixelated result if you zoom too close. Digital SLR cameras (DSLRs), like the old film cameras, usually use focal length as a measure of zoom, such as a 28-70mm or 70-300mm zoom lens. Compact digital cameras usually use a zoom ratio such as 2x, 3x, 12x. Can you compare them? Yes, there’s a simple rule. For a DSLR lens you divide the largest focal length by the shortest. So for a Canon 55-200mm lens you would divide 200mm by 55mm to get 3.6x - the zoom ratio of the lens. A 100-400mm lens has a 4x zoom ratio and a 35mm-350mm lens has 10x zoom. Brightness and contrast can be adjusted on many monitors – a handy feature if you’re struggling to see it in bright sunlight, or a dark room. The monitor on most DSLRs is for reviewing images only – you can’t use it for previewing a shot. This is where a good viewfinder is essential. Some people with a standard digital camera prefer to use the viewfinder instead of the monitor, if they’re trying to save battery life (by turning the monitor off), or if the background light is too bright to see the monitor clearly. Some viewfinders have a “dioptre adjustment” (eye correction) feature – allowing short-sighted people to view the image without having to wear glasses. Most cameras let you choose between several resolution settings. A low-resolution shot will take less storage space than a high-resolution one – useful if you need lots of quick-reference images, rather than a smaller number of high-quality ones. Sensors are what makes the picture in digital cameras. The general rule is: the bigger the sensor, the better the picture. Only a few models we’ve tested have a full-frame sensor; most of the DSLRs and CSCs we tested use an APS-C CMOS sensor. A full-frame sensor is the same size as a 35mm (36 x 24mm) film frame. APS-C sensors are smaller: roughly 23.6 x 15.7mm. Even a 3MP camera will produce good quality 4x6 inch prints. Enlargements up to 10x15 inches will look better with 4 or 5MP. There’s virtually no visible difference in a 6x4 inch print between a 6MP and 10MP camera. Resolution over 5MP only becomes important if you’re planning to enlarge your photos to poster-size or crop them hugely. If this is likely, look for a 7MP to 10MP camera. Otherwise, resolution is less important than sensors, lens quality, and other factors that affect photo quality. GUIDE TO THE TABLE IMAGE SIZE Average size of a jpeg file (best quality) taken at this resolution. PRINT SIZE The print size you can enlarge to without a noticeable loss of quality. Once you’ve made a shortlist of models, try them out in a shop. Are they comfortable to hold? Are the screen and viewfinder convenient to use? Do you understand what all the buttons do? Shop around and don’t be afraid to bargain. Ask about extras such as a spare battery, battery charger, carry case, extra memory and tripod. Will the shop offer a discount if you buy these at the same time as the digital camera? Many traders will match the prices offered by other shops. 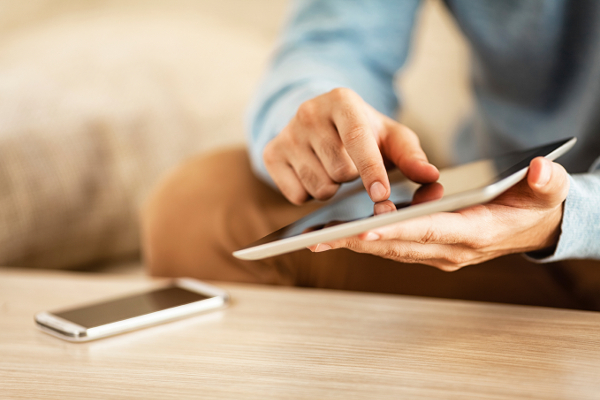 Include some online retailers when you go looking for prices, such as www.ascent.co.nz, www.photo.co.nz, and www.wps.net.nz. PriceSpy and PriceMe are other useful websites to check prices, but bear in mind they include retailers which parallel-import cameras. If you are thinking of buying from a parallel-importer, be aware that it may be more difficult to get after-sales service if problems arise later. Wherever you buy from, check the warranty conditions. Find out whether the retailer can get the model repaired in New Zealand, and how long they guarantee to hold spare parts. 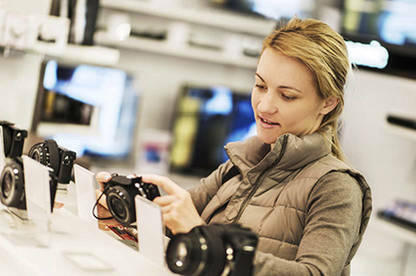 If you buy a digital camera overseas, it’s very important to ask for an international warranty (this may cost more). Otherwise you may find you have no protection if things go wrong back home. The more manual setting options you have, the more you can do with the camera. Most will let you control file type, quality, focus, aperture and shutter speed. Look also for meter options: spot metering lets you set the exposure to one part of the image, field metering takes in the whole frame. There may also be pre-set options for different types of scenes, such as “Beach/Snow” (low exposure), “Landscape” (long focal distance) and “Fireworks” (slow shutter speed). Photography is about capturing the moment – and a photo isn’t taken the instant you press the button. There’s a time delay, known as shutter delay or shutter lag. That time delay can mean the difference between a prize-winning image or a photo destined for deletion. Many compacts have a shutter delay of half a second or more, and this can increase if you’re taking a number of quick shots in succession. DSLRs typically take photos much faster, because of their optical viewfinder and bigger electronic processor. A macro setting allows you to take extreme close-ups. Most cameras have this, but the minimum focal distance differs, from about 1 to 20cm. Even without a macro setting, many cameras will be able to focus on objects quite close to the lens. Less than 10cm is good. Nearly all compact digital cameras have a movie mode to let you record quick clips. Typically all you have to do is switch the camera to movie mode, press the shutter button and the camera will start filming. Press the shutter button again to stop recording. Many newer digital cameras offer HD movie recording. This may be with a resolution of 720p, or an even higher resolution of 1080p – also known as full HD. Even at the highest quality setting, the quality of digital camera video falls short of what you can expect with a full-sized HD camcorder. The sensors inside digital cameras are not as well-suited to video capture as the sensors inside camcorders. If this is important, check out our test scores for movie quality. Red-eye reduction is present on almost all models. A few have an extra “hot shoe” or similar connection which allows you to attach an external (and more powerful) flash. Look for a camera that is not too heavy and has a sturdy design. Fold-out screens can be flimsy, but also very useful. Cases/bags are not usually supplied, but can be bought separately. Many models hook up to a television so you can view your photos or short films on the big screen. You may be able to play sound as well. Always a useful feature if you’re interested in anything more than casual snaps. Basic programs are sometimes supplied, although you may want to buy your own. Image editing is a lot of fun, and the only limit is your imagination. Check our report on Free image editing programmes. PASM stands for the various shooting modes usually found on DSLRs but now increasingly common on compacts: program mode, aperture priority, shutter priority, and manual modes. Program mode offers partial control over shutter speed and aperture. Aperture priority and shutter priority allows you to control either the aperture or shutter speed while the other, along with ISO sensitivity, is calculated by the camera. Manual mode allows you to control everything. The Top Brand award recognises brands that perform consistently well across product testing, reliability and customer satisfaction. As of 2017, Canon is the clear winner for digital cameras. It showed strong test performance across 52 models, and is the only brand analysed with above-average reliability and satisfaction scores. 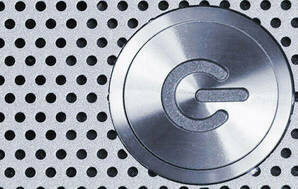 Check out more of our tests, articles, news and surveys in our Technology section.